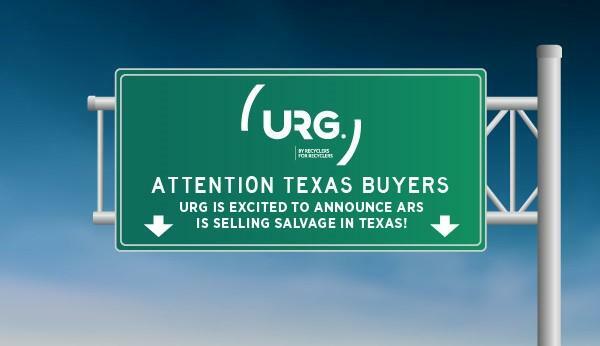 ARS is Now Selling Salvage in Texas! Buy more cars without having to go to auction! URG Members will always have the lowest fees - always! Since 2013, ARS has powered the URG Salvage Auction. Receive real opportunities with photos and conditions. Save thousands in auction fees every month. Bid on only the opportunities you want. Updated iPhone and Android apps for easier use. Buy Salvage, Finance, Consumer, and Charity units directly.